Military Funeral. With Military Honours the mortal remains of the late Walter (Boy) Orange, fifth son of the late Mr W Orange of Beau Sejour, Queens Road, were laid to rest this morning at Mont a l'Abbe cemetery. 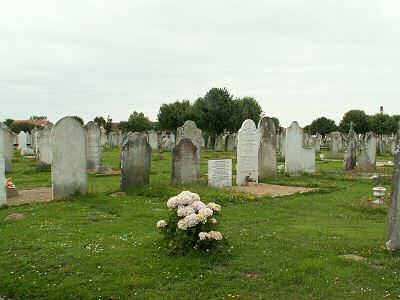 The deceased, who was 20, died at the above address on Christmas Eve as a direct result of disease contracted whilst in the Field Artillery and consequently the firing party and bearers were provided by the local Royal Garrison Artillery, who met the cortege at St Helier parish church where the first portion of the burial service was impressively carried out by the Very Reverend the Dean. The remains were enclosed in a polished oak coffin with electro-plated mountings, this was covered with the Union Jack and bore the following inscription "Walter Orange. Died 24 December 1918 in his 20th year". At the conclusion of the church service the cortege proceeded to Mont a l'Abbe cemetery headed by the firing party, and the Dean having read the committal prayers the usual Military Honours were accorded, the three volleys being fired and the Last Post sounded. Died, aged 19 years, of pulmonary tuberculosis whilst recovering at home from double pneumonia.